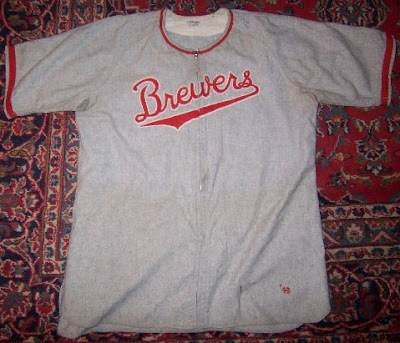 This beautiful Brewers road jersey, now in the collection of Paul Tenpenny, was worn in 1943 by coach Red Smith. It's a beautiful design, with minimal striping - thin at the neck, thicker on the sleeves. This exemplar also gives us our best look yet at the elegant "Brewers" script, introduced to the club by Bill Veeck in 1942. 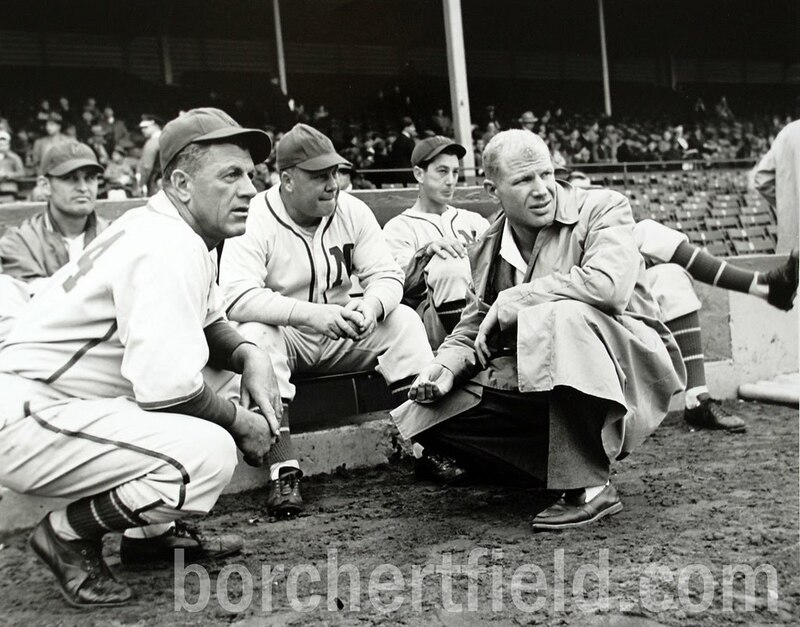 The script would survive until the Braves bought the club and rebranded it in their own image later in the decade. Most intriguing about this jersey to me is the simplified color scheme. The Brewers had always utilized blue as a primary team color, going back to the formation of the American Association. 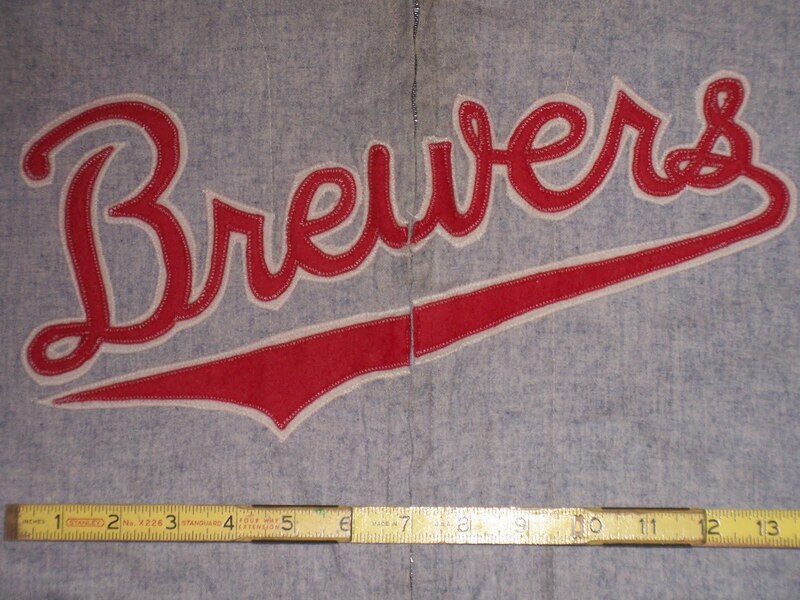 Home jerseys from this period featured the same red "Brewers" script mark, but outlined in blue, and blue stripes. 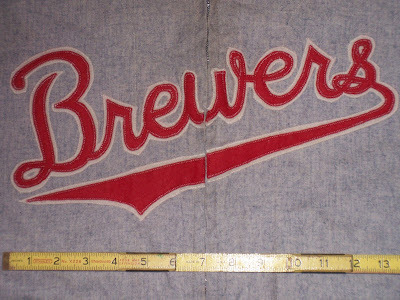 The same thin/thick striping pattern was used on the home jerseys, but in blue. 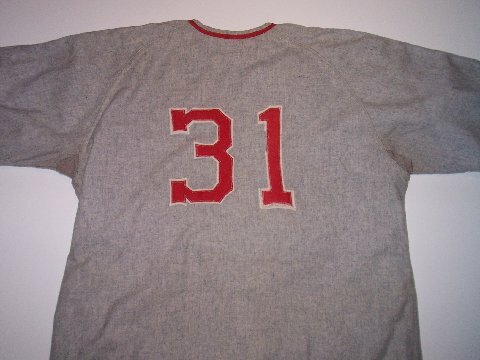 On this jersey, however, it's red accents and red script oulined with white. No blue whatsoever. 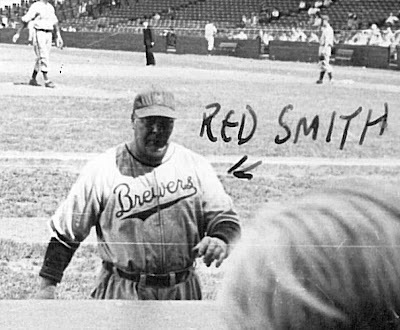 I have a suspicion why this might have been, but that's a story for another day.